Whether you are staying in a hotel for business or leisure, it is important to keep in mind some of these common mistakes over the course of your stay. Keep reading as we list 8 Things You Should Never Do In A Hotel. We get it, free Wi-Fi is great. But at the same time, here is a cold hard fact: It is generally not safe and vulnerable to cyber attack. This particularly applies to public Wi-Fi network commonly found in coffee shops, cafes, restaurants and yes, even hotel rooms. Which is why it’s best not to use hotel Wi-Fi to conduct any important business or sending sensitive information (e.g. using a credit card or online banking system). 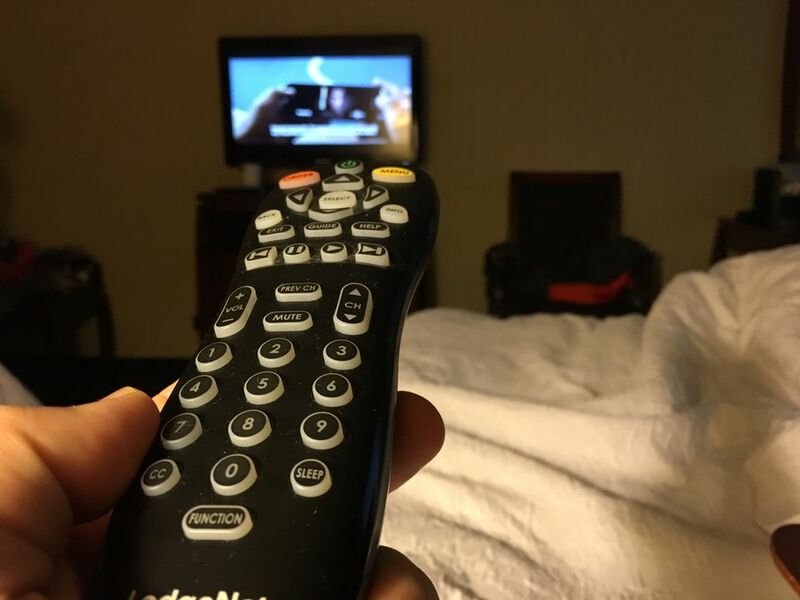 Remote controls including TV and air conditioner in the hotel room actually harbour lots of bacteria and germs. So, whenever you are using them, be sure to sanitise your hands with disinfectant wipes or hand sanitising lotion after use. Some of you might be thinking: what’s the big deal about it? Well, unless basic hygiene never occurs to you, it’s better safe than sorry. 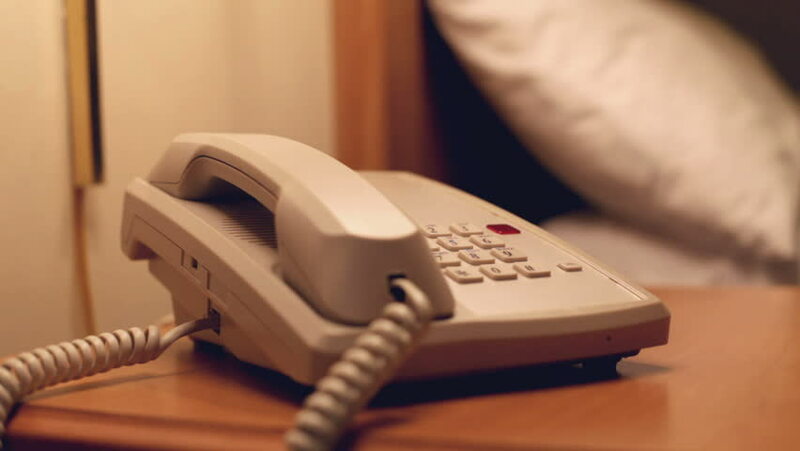 Similar to hotel remotes, the telephones that usually found on the bedside tables are prone to bacteria and germs! You see, there are many other guests and even hotel staff that have touched them before you! Not to forget that people hold the phone’s handset near their mouth and face as well. If you are ever going to use them, at least wipe the phone with disinfectant wipes before use. By valuables, we mean pricey items like branded watches, jewellery or electronic gadgets/devices (e.g. smartphones, tablets & laptops). Bring them along with you or at least put them in the hotel safe (Okay, a laptop obviously doesn’t fit in this category so it’s best to carry it with you in a backpack). It doesn’t matter whether you stay in a budget, mid-range or even a high-end (read: 5 stars) hotel. The hotel beds are often the primary target for bed bugs. They can be found in places like mattresses, box springs, headstands, comforters, sheets and blankets. So, before you sleep on it, spend some time to look for any signs of creepy crawlies such as rusty or blood stains and dark spots. And if you do find any of them, do not hesitate to request to change for another (cleaner) room. This is one of the most common occurrences that (many) people tend to pay less attention to it. Put it this way: Your suitcase was already placed on the ground long before you entered the hotel room. And as you know, the ground regardless of outdoors or indoors is always dirty and full of germs. After all, the bed is a place where you are going to sleep on. 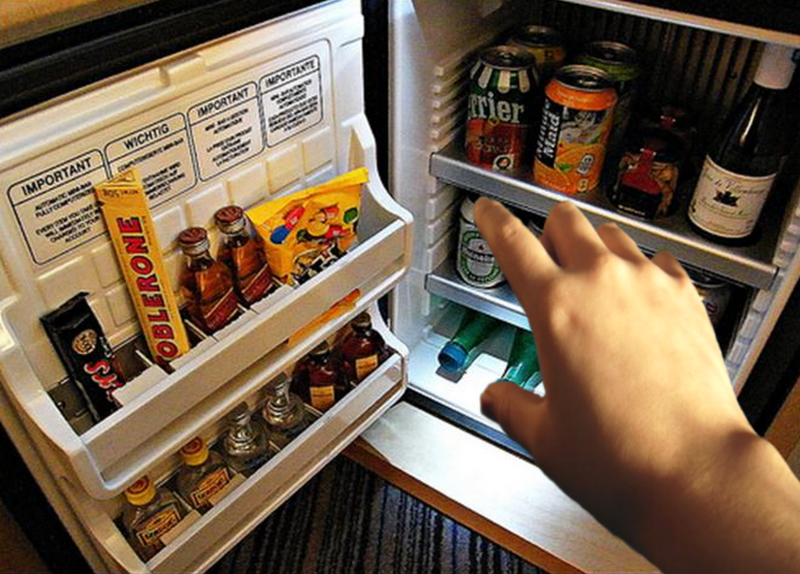 Some hotel rooms have minibars stocked with the likes of canned/packet drinks and sugary snacks. These items typically come with exorbitant prices that charge higher than the ones sold in convenience stores, supermarkets or even vending machines. 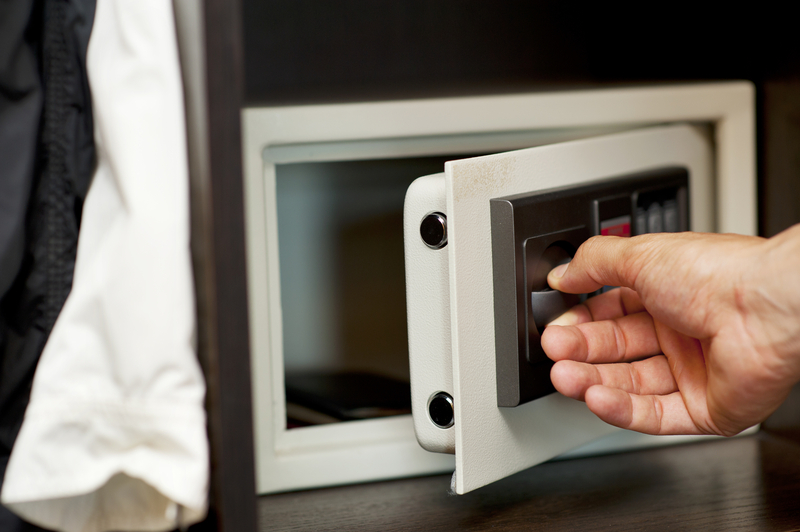 Unless you do not mind paying for them, never attempt to steal any of the items stored in the minibar. (Most) hotel minibars contain sensors that will automatically charge the moment you pick up something. Instead, forget about the minibar and act wisely by purchasing the drinks and snacks from outside. You can actually take them home if the items are meant to be complimentary. This usually includes toiletries (e.g. toothbrush), mineral water as well as coffee/tea/creamer/sugar sachets. But other than that, refrain from placing them into your luggage or backpack. This can be anything like body/hand towels, kettles, hair dryers and pillows. Keep in mind that some hotels have security cameras while others would do manual spot-checks. Besides, you do not want to end up getting caught red-handed and be embarrassed right in front of everyone.